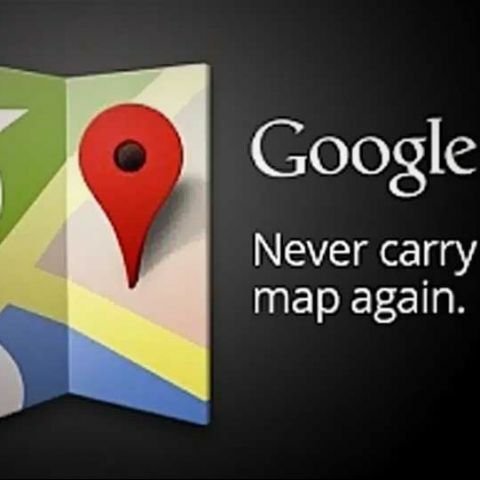 Eric Schmidt, executive chairman of Google's board of directors, has dismissed rumours of a Google Maps app for iOS 6, when speaking to Reuters at the Nexus 7 launch event in Japan. Talks of a Google Maps app for iOS have been circulating for a while now, becoming especially relevant when Apple introduced iOS 6 at WWDC 2012, and announced it would sport its own Maps app, replacing Google’s, which was built into previous versions of iOS (like its YouTube app). The need for a Google Maps app for iOS heightened after the rollout of iOS 6, and the extremely buggy nature of Apple Maps was discovered. Users lamented the loss of Google Maps, and to work around Apple’s draconian rules, wished for a Google Maps app, just like the fresh new YouTube for iOS app that Google released shortly after news of YouTube no longer being built into iOS came about. Recent rumours maintained Google was building a new Maps app for iOS, and was only awaiting approval from Apple for publication on its app store. Schmidt dismissed these rumours however, but didn’t comment on if the company was in the process of developing such an app, or if they had any such plans for the future. Google Maps is a trusted source for navigation and location information, and has been continually updated for years, including much user-based refinement of its data. Its Street View service, initially heralded as a breach of privacy, is now a very popular and useful maps interface. The big question on a lot of iOS users minds is this – why isn’t Google developing a Maps app for iOS? The search giant is probably hoping for some iOS 6 converts, users who either will give up their iOS devices for Android ones, or users who will forego their iOS device purchase for an Android one. It’s also making very clear that the years of development and crowd-sourced refinement that went into making Google Maps what it is today, cannot be as quickly achieved as Apple hoped. To rub salt in iOS 6 map user's wounds, Google has recently updated Google Maps with many new well-received features. Reuters quotes Schmidt as saying: "We think it would have been better if they had kept ours [maps app]. But what do I know? ... What were we going to do, force them not to change their mind? It's their call. … We have not done anything yet." iOS 6 users, don't lose heart (or your way). You can check out our top free alternatives to Google Maps for iOS, here.